Murakami is strange. His plots are a bit hard to follow. But he has such a deep perception of humanity that it draws you in and keeps you there. A man and his wife misplace their cat. She contacts a psychic medium to help them and speaking in riddles, never gets anywhere. Kumiko leaves her husband for her lover and he befriends a very strange 16 year girl obsessed with death and everyone is trying to find themselves. In the end, the cat comes back. Like I said, I couldn’t discern the plot. It was complicated, confusing, a bit boggling, a sense if messed up sexual fuckery, and I have no idea what was going on. It’s a book that needs to be reread a few times I think. 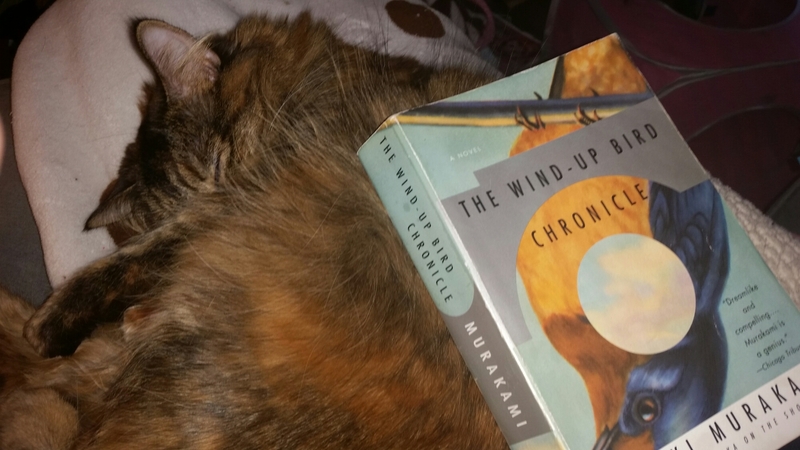 Murakami has such a way with underlying plots that it really comes off as beautiful.